My New Year’s wish for champagne and pie came true, even if I had to bake the pie myself (I don’t mind). 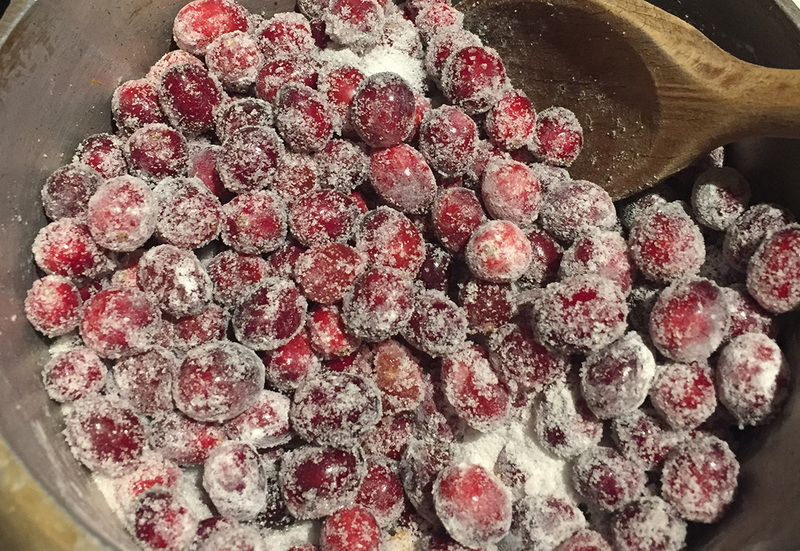 Cranberries are festive, their tart flavor says “holidays” to me. They make a tasty, somewhat unexpected pie filling, a little something special for a celebration. 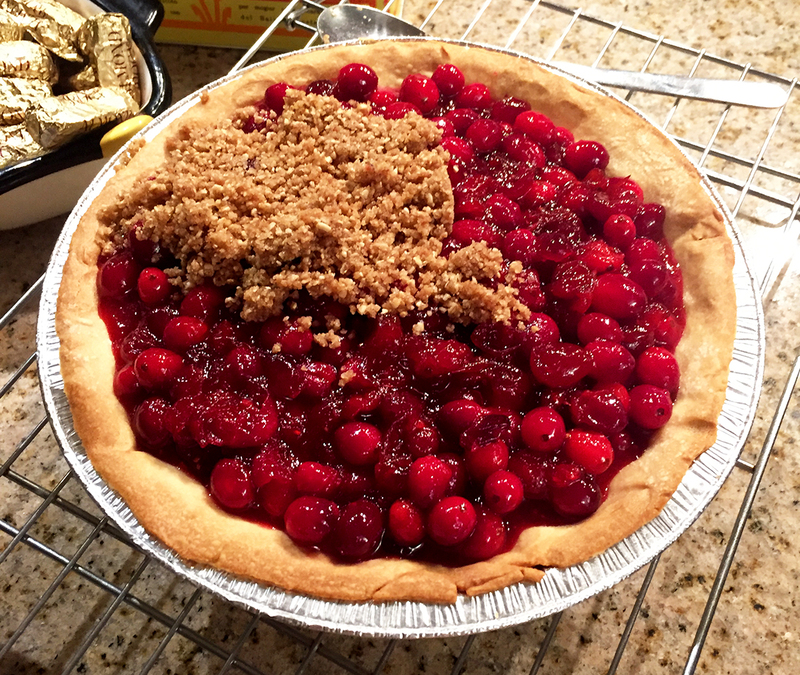 Cranberries and sugar with a little cinnamon and lemon zest made the filling. When “I baked a pie!” is my answer to “What did you do for New Year’s Eve?” I don’t think that’s what people are expecting. The party hosts certainly weren’t complaining, though, as they finished off this pie on New Year’s Day. 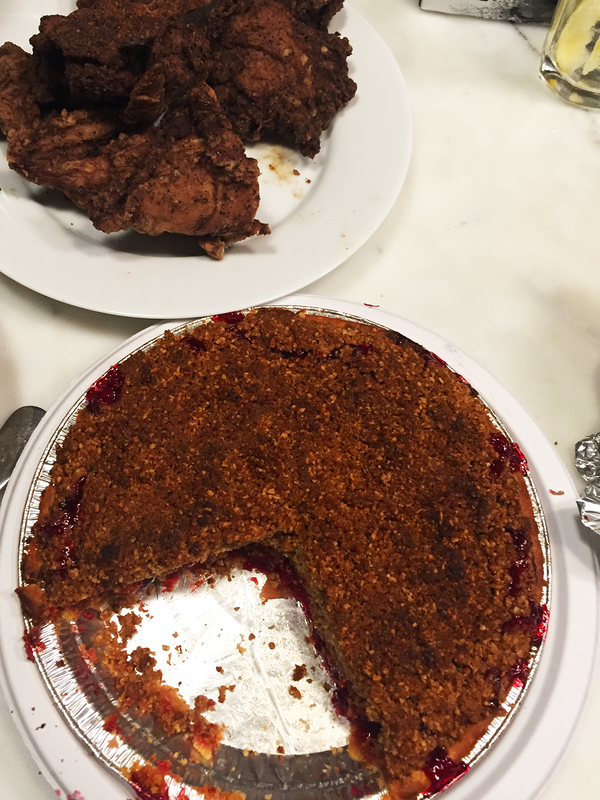 You mean everyone doesn’t show up for a NYE party with fried chicken (my husband’s contribution) and a pie? Bake a similar pie with this recipe from Smitten Kitchen.